A day in Amersfoort animal park, the Netherlands. 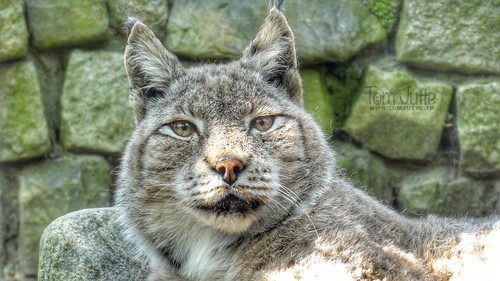 Here you see a portrait of the Eurasian lynx, this kind of Lynx is a medium-sized wild cat occurring from Northern, Central and Eastern Europe to Central Asia and Siberia, the Tibetan Plateau and the Himalayas. It inhabits temperate and boreal forests up to an altitude of 5,500m.